Posted: April 15, 2019 in Sports Racers, Who,What,Where & When...? 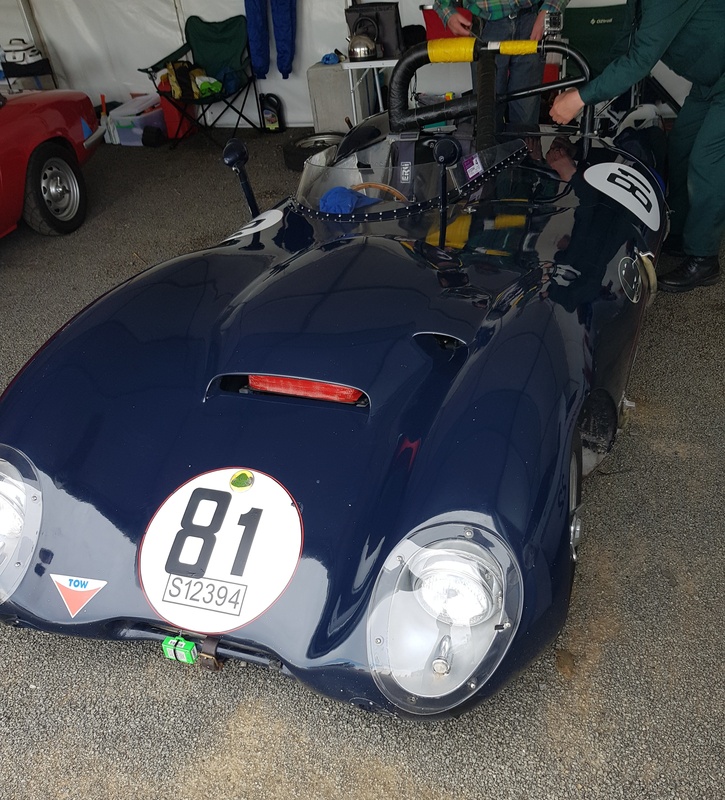 Racer, engineer and mechanic Lupton and ace welder Hedley Thompson met at the Australian Motor Sports Club and soon developed a strong friendship. Thompson was a foreman in aircraft maintenance at TAA- Trans Australian Airlines was one of two large domestic Australian airlines, Ansett the other. He was regarded by many, including Reg Hunt, as one of the finest, if not the best welder in Australia. Lupton and Thompson saw an opportunity to build some Lotus 11 replicas, the ex-Jon Leighton Lotus 11 Series 1 (chassis 198) provided the car from which to create a jig and working drawings when the pair rebuilt it. 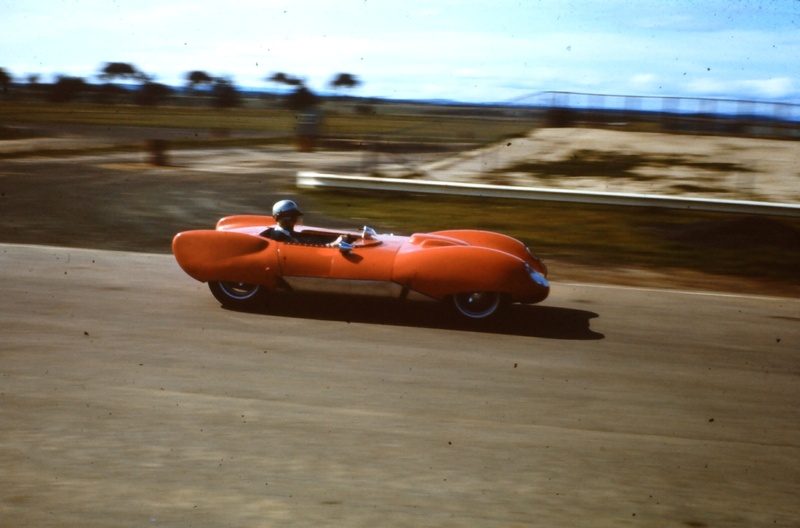 Brian Devlin’s genuine Lotus 11, ex-Jon Leighton with Denis Lupton at the wheel, above, Fishermans Bend, Melbourne in 1959. 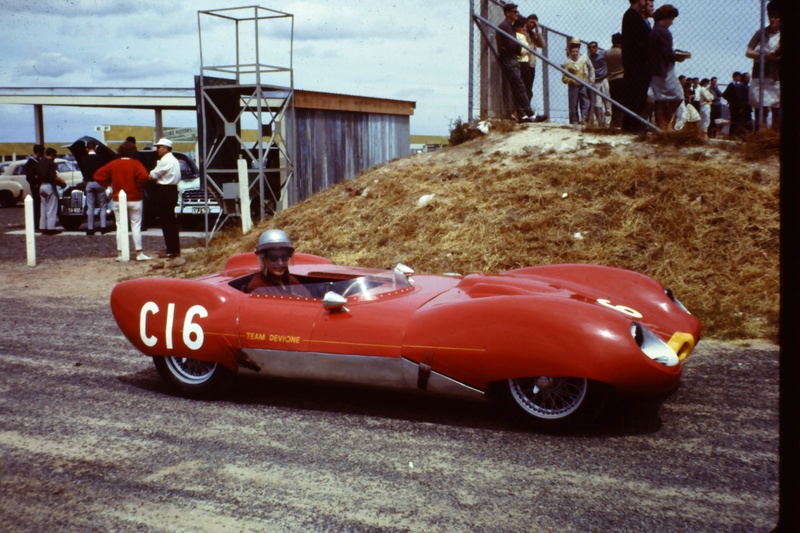 Little is known of the car’s early history other than that it was bought to Australia when Leighton emigrated here in 1958- first competing at the Hepburn Springs Hillclimb in November 1958, for a class win, Brian Devlin acquired it in 1960. Between Thompson and Lupton the pair had the requisite skills to build racing cars. The little machine was stripped in the workshop behind Thompson’s home in Melbourne’s inner eastern suburb of Deepdene, (‘down the drop in Whitehorse Road from Burke Road till when it flattens and then in on the left’). When it was a bare chassis Denis took all the measurements and made a set of drawings. 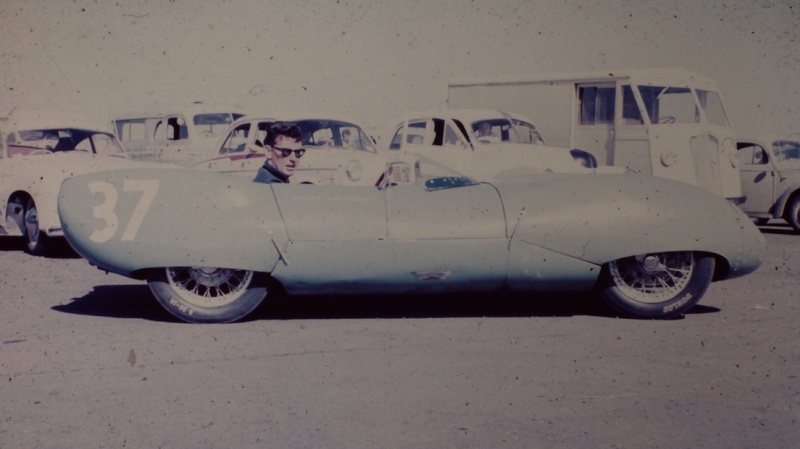 Denis and Hedley made the chassis whilst the aluminium work was done by close friend of Lupton’s and noted racer Ian Cook and Frank Esposito. 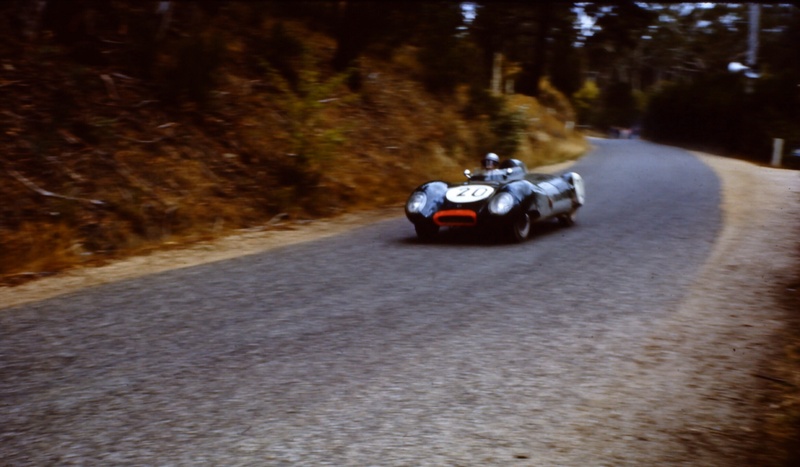 Whilst the standard Lotus bodies were aluminium, a buck/moulds were taken from the Devlin car with painter Jim Jewitt producing fibreglass bodywork. Word travelled quickly of course that some beautifully built cars were coming together and the orders quickly flowed in. This article is very much a ‘work in progress’ from Denis records of the cars, if you can help with the history of an individual chassis please get in touch. Stuart Campbell, Car finished off and competed in Perth. Then fitted with 1500cc Cortina GT engine, close ratio gearbox, disc brakes and wide wheels. R.Slaney, Sebring Motors, 123 Bridge Rd, Richmond. Syd Fisher, fitted Alfa Romeo engine and gearbox, then Peugeot engine. Alan Bail, fitted 1500cc FWB Climax, very successful. Graham Vaughan, Queensland, current owner. No.12 Hedley Thompson, Lola Mk 1 copy. Ray Kenny, NSW, to Barry Bates QLD current owner 2019. 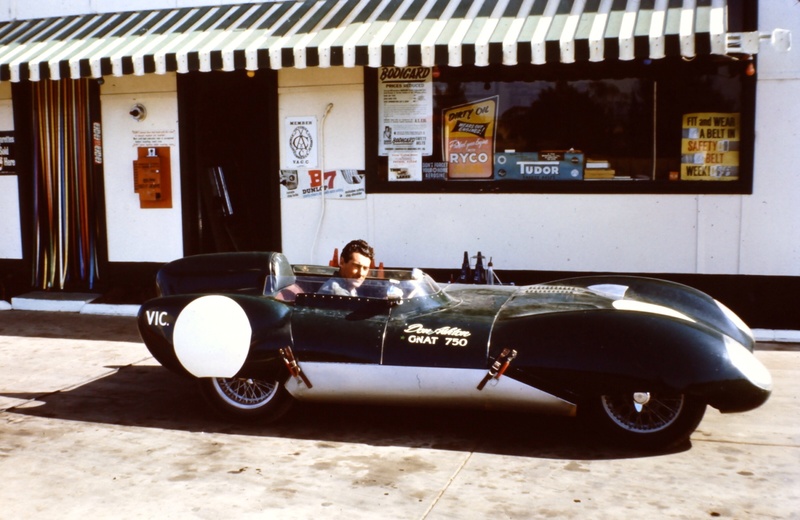 David McKay raced his Lola Mk1 Climax at the Ballarat International meeting in February 1961. During the meeting a radius rod mount pulled out, Hedley was engaged to repair the car, again a jig was made and drawings of the chassis taken. These days Crabby has a large successful aircraft maintenance business at Melbourne’s Essendon Airport, back then he was a young TAA apprentice, ‘I used to catch the tram up Glenferrie Road from Malvern and Hedley would scoop me up on the Cotham Road corner, not too far from his place and he would drive me out to the airport. He was a terrific bloke, immensely talented, he taught me how to weld. I did help in the build of the little Lola’. Within a couple of hours of uploading this article my friend and historian Stephen Dalton raided his collection of magazines and emailed ‘…the history of Lotus 11 Replicas may have been somewhat different had Jon Leighton sold his Scuderia Birchwood Lotus in England. The 13 June 1958 Autosport ran his advert ”Scuderia Birchwood’s Lotus XI Sports, full 1172 trim, extras, enthusiast maintained, very fast, engine now dismantled, 850 pounds ono- Twyford 5 (evenings)”. 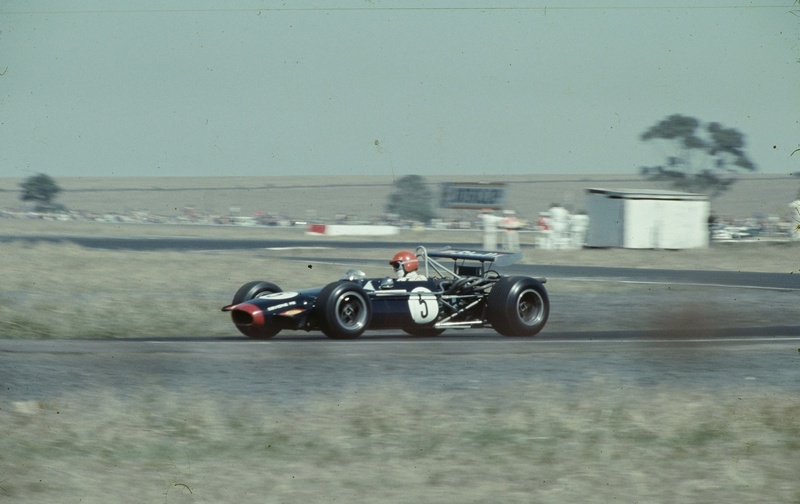 Denis is rather a modest fellow, the next Devione piece will be about the Brabham BT23 inspired Devione LC2 Ford Twin-Cam 1.6 ANF2 car built by Denis- the ‘L’ and Ian Cook- the ‘C’, and raced successfully by the pair from 1969 to 1972. A car owned and being restored by Grant Twining in Hobart.